When you sweat, you lose essential minerals like sodium, calcium, potassium, zinc, magnesium, and copper. These minerals, most of which are electrolytes, need to be replaced daily. But you can also sweat out toxic metals like arsenic, cadmium, lead, and mercury if you’re exposed to them in sufficiently high quantities. If you’re not a big fan of running or hot yoga, cayenne can help activate this natural detoxification process. 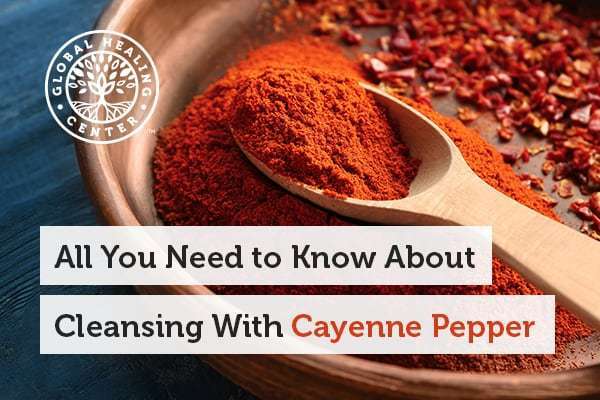 The post All You Need to Know About Cleansing With Cayenne Pepper appeared first on Dr. Group's Healthy Living Articles.